Alejandro Jodorowsky may have not read Frank Herbert’s science-fiction classic “Dune” when he embarked on the great, big, mad adventure of adapting it to the big screen in 1973. Yet, Herbert’s transcendental story of a young man, Paul Atreides, who, in his desire to avenge the murder of his father and the betrayal of his once-powerful family, undergoes a spiritual quest in the planet Arrakis that transforms him into the Messiah Muad’dib, was a perfect fit for the Chilean surrealist filmmaker, avant-garde theatre artist, and future comic books writer. For, after all, didn’t El Topo, the protagonist of his 1970 cult classic, undergo a similar spiritual journey? Frank Pavich’s “Jodorowsky Dune” is a tantalizing look at what could have been one of the greatest movies or one of the greatest follies of the 20th Century. Jodorowsky managed to bring together a who’s who of established and up-and-coming talent for the project, some of whom would become his lifelong collaborators: graphic artists Jean Giraud “Moebius” and H.R. Giger; special effects technician and scriptwriter Dan O’Bannon; science-fiction artist and book cover illustrator Chris Foss. Salvador Dali, Mick Jagger, Orson Welles, and David Carradine would play key roles in the film while Pink Floyd and French rock band Magma would write the score. Jodorowsky towers above them as this irrepressible, confident, inspirational force of nature, one that would take no for an answer. He convinced producer Michel Seydoux to finance the film’s pre-production. He persuaded Welles to take on the villainous role of the extremely overweight Baron Harkonnen by promising Welles that his favorite chef would cook all his meals during the production. He agreed to pay Dali $100,000 per hour. He cast his son Brontis in the role of Paul and had him endure hours of grueling martial arts training. He berated the members of Pink Floyd for eating Big Macs while he was pitching them the idea and walked out of a meeting with special effects pioneer Douglas Trumbull (“2001: A Space Odyssey”) because Trumbull was too full of himself. Jodorowsky was not only looking for the right talent: he was recruiting “spiritual warriors” who would join him in his mission to create the “most important picture in the history of humanity,” one that would have the effects of taking LSD without actually taking it. He wanted the movie to bring forth a new prophet. Granted, neither Welles nor Dali are around any longer to corroborate Jodorowsky’s version of the events and we never get to hear Trumbull’s or even the surviving members of Pink Floyd’s side of the story. But Jodorowsky’s rambunctious, passionate telling heightens that sense of “what if” that permeates the documentary, a sense further underlined by the mind-blowing art work that Pavich brings to life through animation. “Jodorowsky’s Dune” is a wonderful companion piece to “Lost in La Mancha,” that magnificent documentary about the unraveling of another potentially great film, Terry Gilliam’s adaptation of “Don Quixote” starring Johnny Depp as a modern day Sancho Panza who is thrown back in time to Medieval Spain where he meets Don Quixote (Jean Rochefort). Gilliam, like Jodorowsky, is an artist with a clear point of view, a vision, and he will fight against hell and high water to defend it. So much so that he has tried over and over again to revive his “Don Quixote” project. Jodorowsky, on the other hand, has transformed his vision for “Dune” into a metaphysical comic book universe —“The Incal Trilogy,” “The Metabarons” saga and “The Technopriests,” all available in beautiful hardbound editions from Humanoids Publishing. Near the end of the documentary, Jodorowsky can no longer contain the anger he still feels towards those Hollywood producers that turned their backs on the project. He rails against the studio system, against its financial interests. The irony, though, is that a couple of years later, the studio system would begin embracing the type of multimillion dollar production that Jodorowsky and his team envisioned, and which have evolved into the franchise-driven system of today. 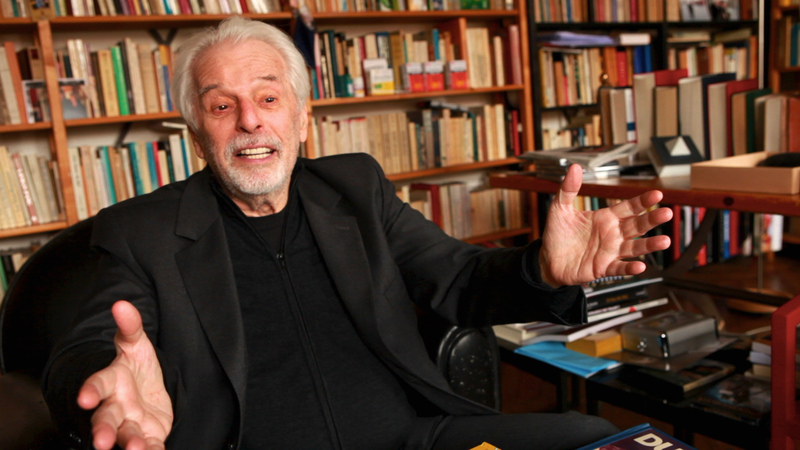 Jodorowsky still dreams of his vision making it one day to the big screen, perhaps in the form of an animated film. 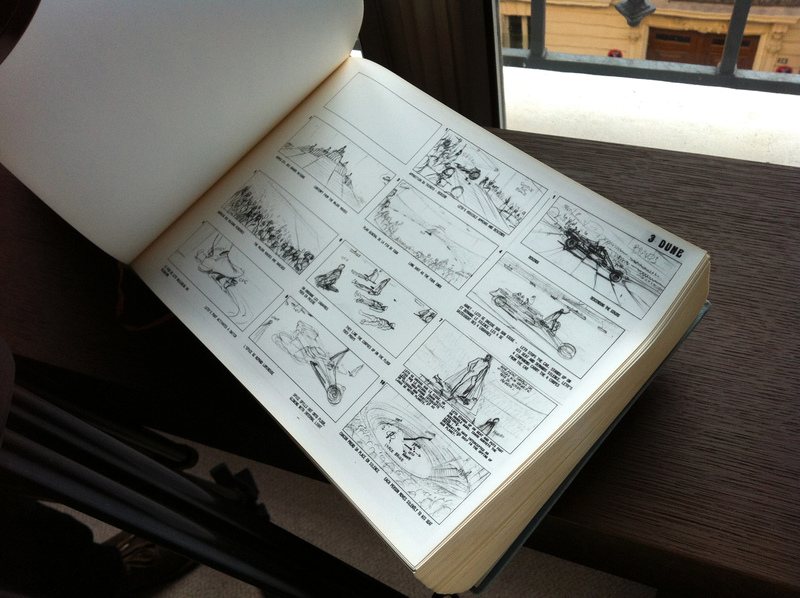 “Jodorowsky’s Dream” is more than a very entertaining story about an ambitious project, though. It portrays an artist who, at age 85, is as vital and relevant as ever. An artist whose first film in more than 20 years, “La danza de la realidad,” will be released this summer and who keeps writing some of the best, most out-of-this-world graphic novels in the market right now. In the end, thanks to the collapse of “Dune,” he discovered a new vehicle where he could express his ideas. One which allowed him to be far more productive and creative than any movie would have ever allowed him to be.